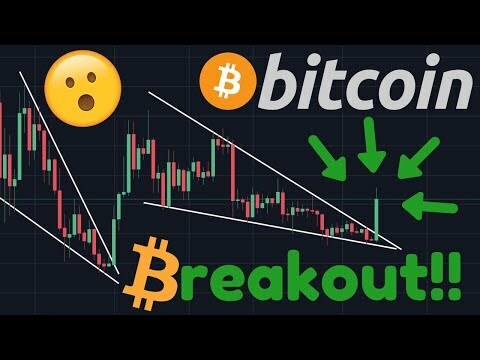 Bitcoin Technical Analysis & Bitcoin News Today: Bitcoin is breaking out right now out of the falling wedge that we have been covering on my channel. I'll use technical analysis on the Bitcoin price to make a Bitcoin price prediction. Watch the video to learn more! Bitcoin Hardforks what is it? Watch my xrp ta videos saw this coming for days now i got the targets set .84 .96 on the way…. possibly. And thanks for the content. Anyone who makes bitcoin videos throughout the longest crypto bear market has my respect! Good work and thanks again! I smell another bull trap inbound!!! I suspect after the bounce we move sideways then drop back to the 200 WMA. Getting resistance at the 50 MA. Nobody call breakouts like you do sir! Interesting. Thank you “ON THE BALL”, Carl. You know it’s positive when The Moon himself posts two videos on one day! BEERS ON ME MY FELLOW HODLERS!!!! Thanks Carl, you nailed it 🙂 I was wondering, where are resistances and so on. Now Bitcoin, keep going! good call again, tnx carl !!!! nice profit today on bitmex!! Carl as usual the best TA in the business. +Tom Meier I agree, been looking a the similar contrast of 2015 and 2019. Just a matter of time the shorts run out of room as we cruise across the 200 WMA. If we break under than that is something entirely different as BTC has never closed under the 200 WMA before. Next couple of week may shed some light on whether we have officially hit bottom or not. Regardless we are on our way to the next bull trend in time. S Thompson truth is that he makes video everyday, that means that according to you he warned for a breakout 5 days ago, that is till great. But the truth is, in yesterday’s videos he said “at his point breakout is coming at any moment “ having the word breakout in the title is for attention, you need to watch the videos and ledsen to the guy..
hasonito deman nah I know I was just being a nob haha. Carls great I watch every day. Yep I bet we Bart back down in a few days to a week. Good pump. Made some profits. But honestly, probably going sideways from here. And then back down. LTC is undervalued IMO. It should be in the range between 5% and 10% of BTC price. More than likely. I think there’s still a few weak hands left to throw in the towel.